Yep, another retail location is being added to our list! If you live in Spokane, you'll be excited to hear that the Monroe Street Huckleberry's Natural Market. We're working hard to make Joseph's Grainery convenient for you to puchase and enjoy. If you don't see what you're looking for, ask for Joseph's Grainery by name! 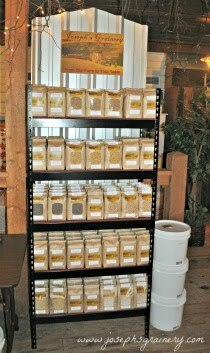 Is there a store near you that you'd like to see Joseph's Grainery in? Ask the store manager for Joseph's Grainery and then send us the store's information and we'll see what we can do!